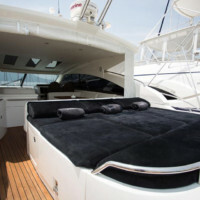 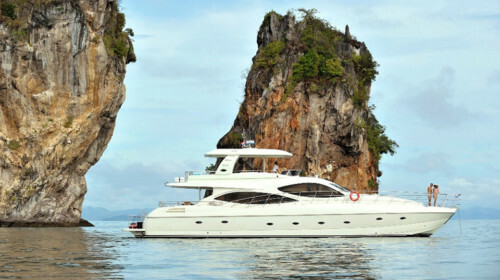 This Princess V56 is available for private yacht charters in Phuket. 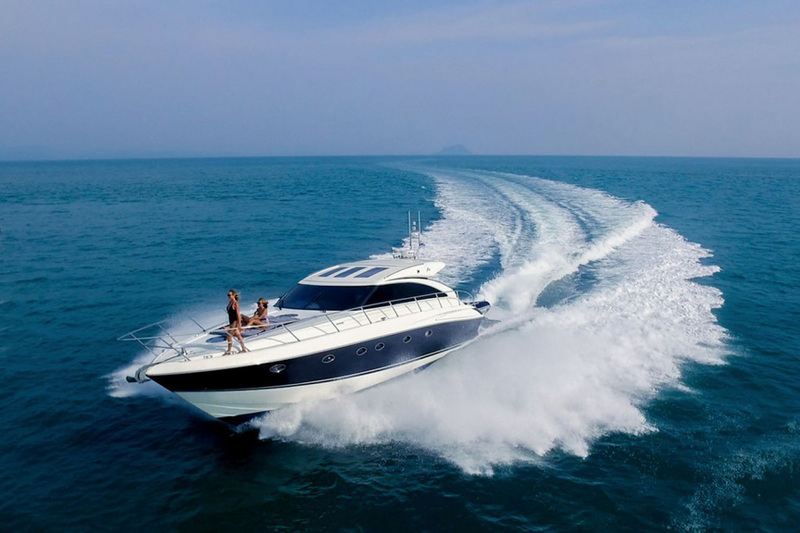 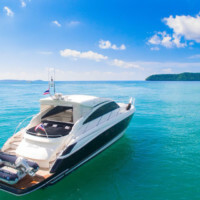 Luxury Yacht Charters Phuket with Boat in the Bay. 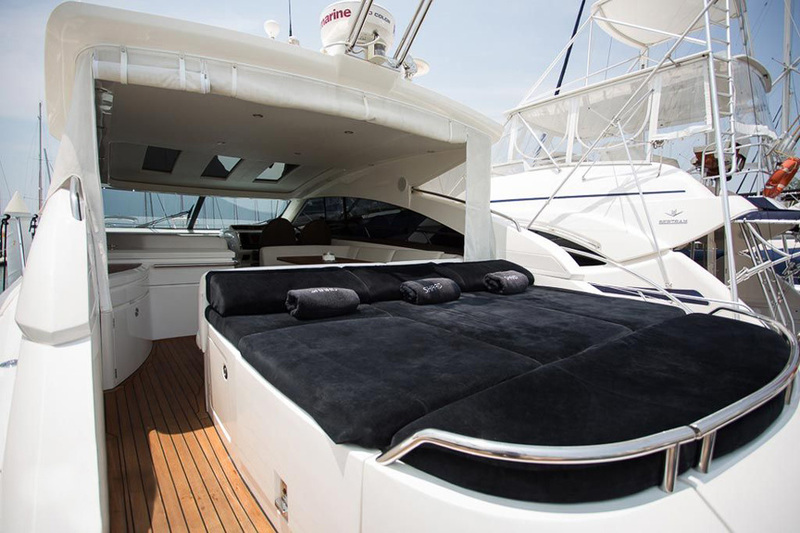 You will like this motor yachts for her elegant lines, exhilarating performance, and outstanding accommodation. 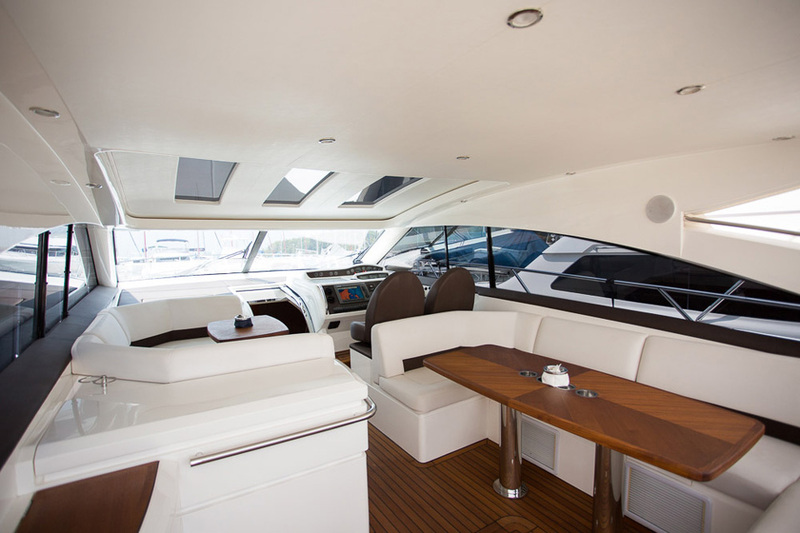 This Princess V56 defines the very best in sports yacht design. 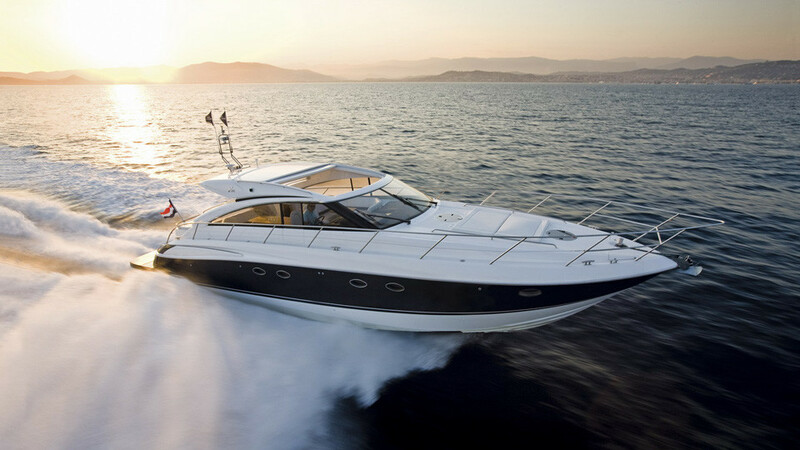 Simply a must-try for cruising in speed and style for up to 12 passengers. 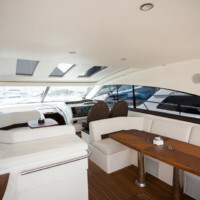 Her use of space and ingenious design give her the feel of a much larger craft. 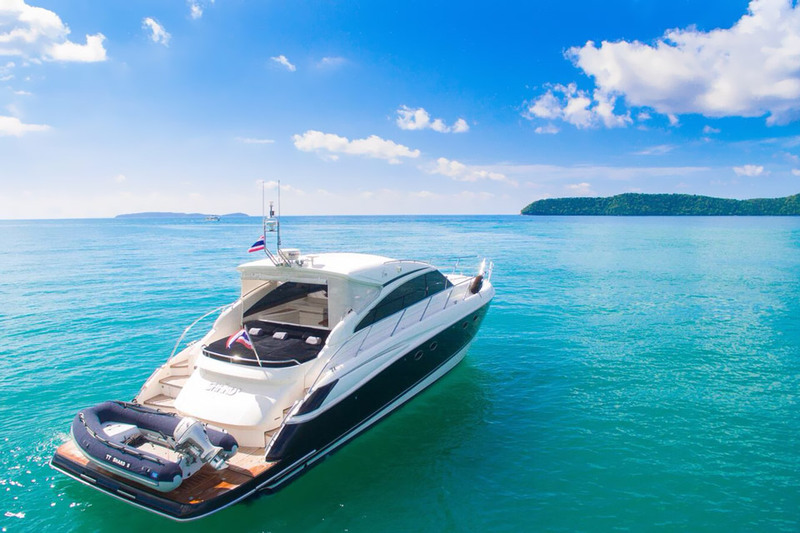 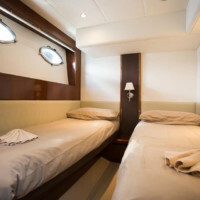 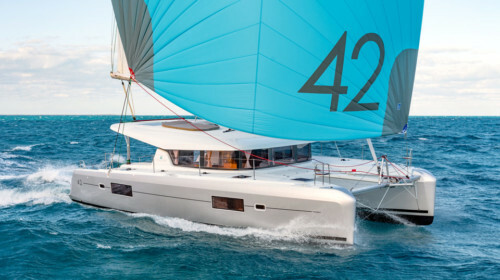 Her impressive top speeds and wide cruising range are able to cover long distances in a short time taking our guests to the spectacular destinations of Similan or Phi Phi Islands. 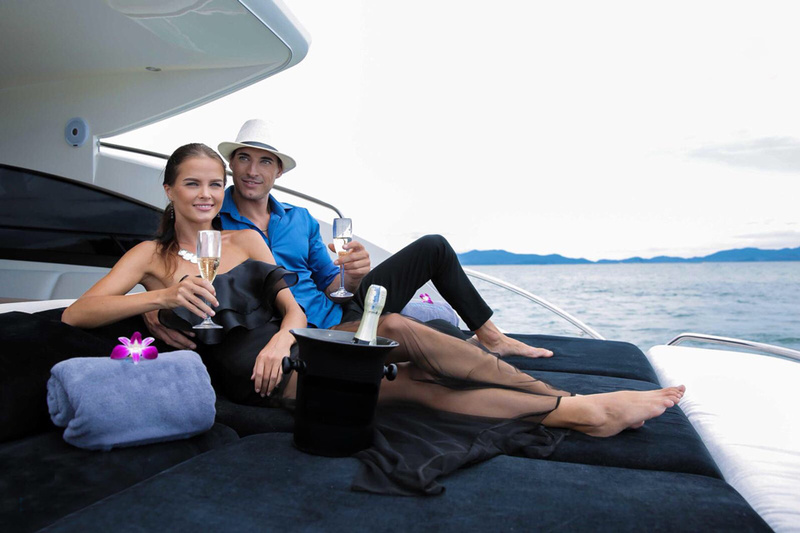 The optional hardtop with an electric opening section provides the ultimate in flexibility to enjoy the sunshine or shelter in shade. 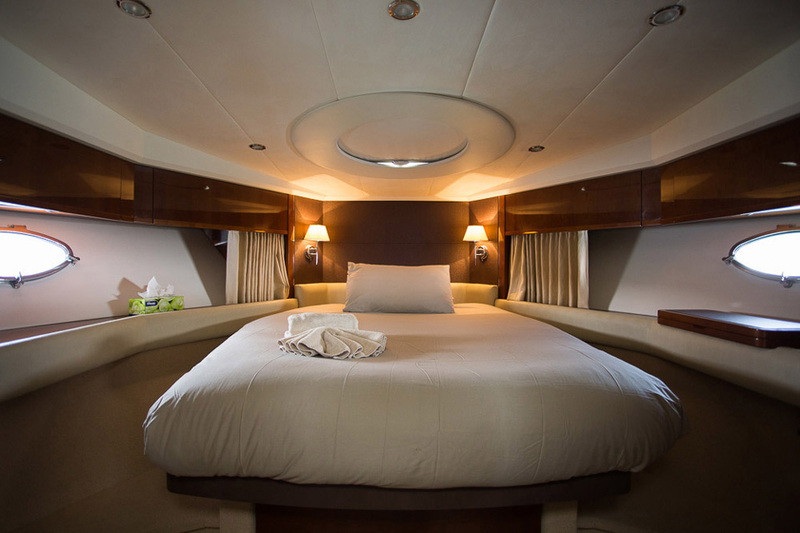 The Princess V56 accommodates 6 guests overnight comfortably, with an en-suite owner’s stateroom forward and 2 generous twin cabins. 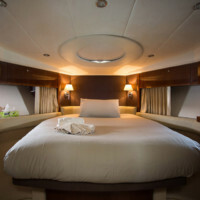 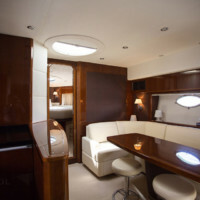 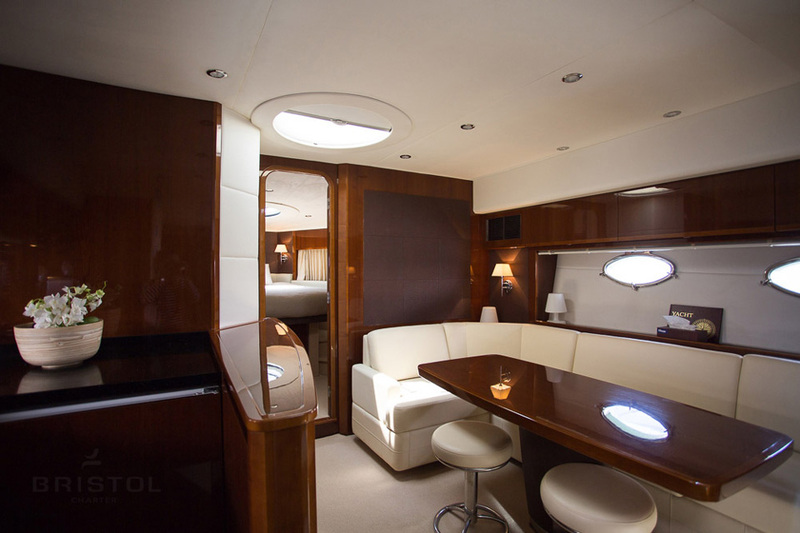 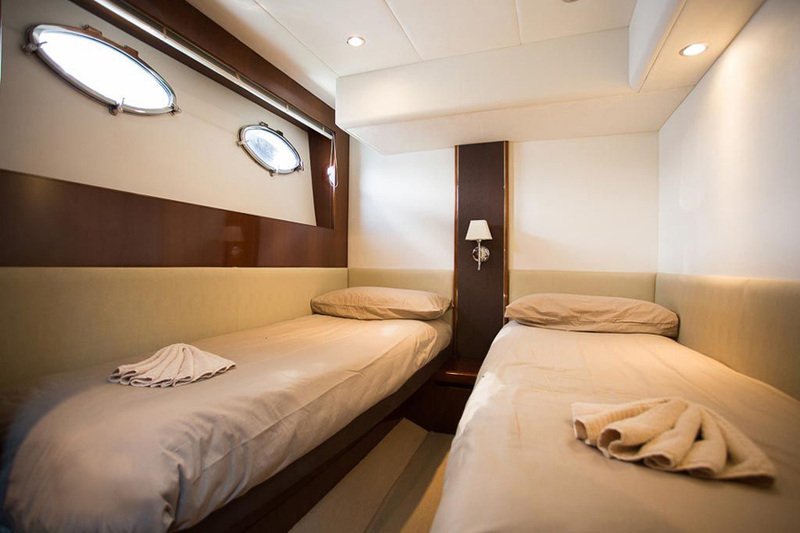 Her sociable saloon features a large L-shaped sofa and dining area with LCD TV and opens across to a fully equipped galley.